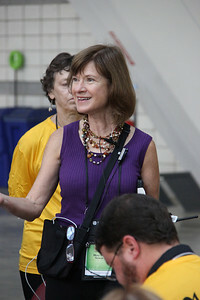 2013 ELCA Churchwide Assembly in Pittsburgh, Pa.
Janet Franzen, volunteer coordinator, works with the 2013 Assembly Guidebook. 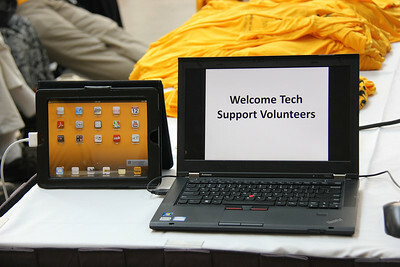 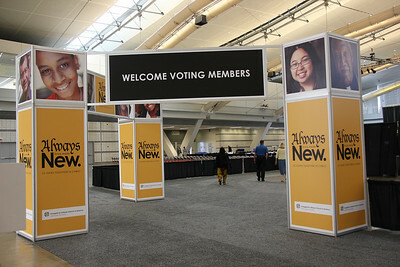 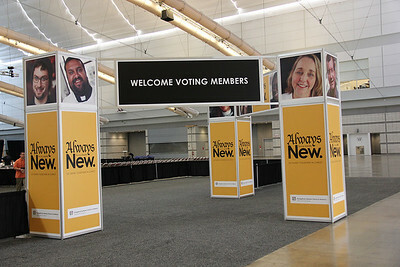 Volunteer training area for the 2013 Assembly Guidebook. 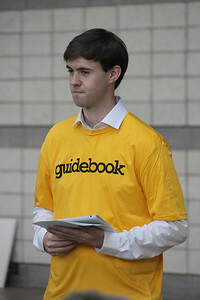 Nolan Wilson represents the Guidebook company. 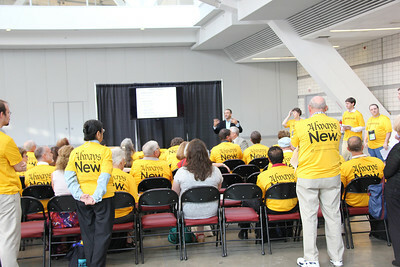 Guidebook volunteers meeting before the Assembly opens. 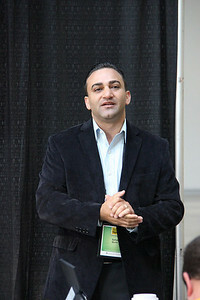 Suhail Qumri, director for technical solutions, addresses the Guidebook volunteers. 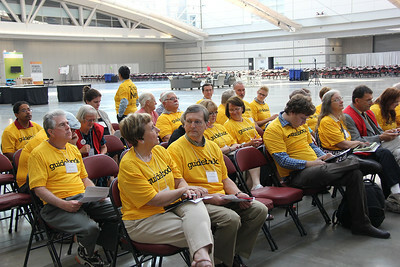 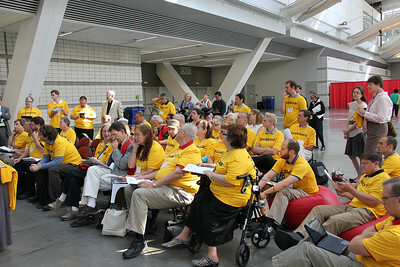 Guidebook helpers are identified by special yellow shirts. 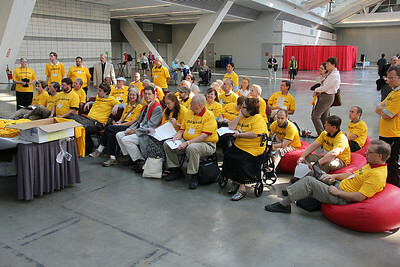 Paul Edison-Swift from the Churchwide staff instructs the Guidebook volunteers. 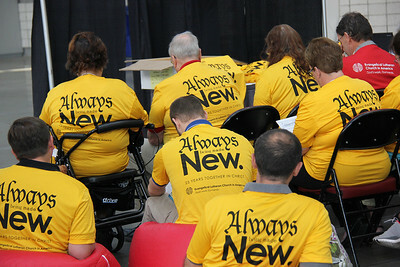 Volunteers are trained to assist with the 2013 Assembly Guidebook. 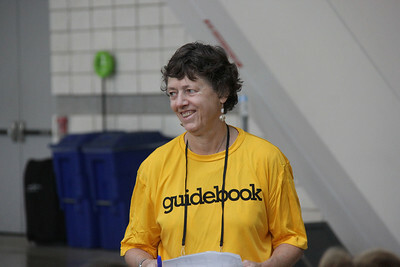 Mary Beth Nowak thanks the 2013 Assembly Guidebook volunteers. 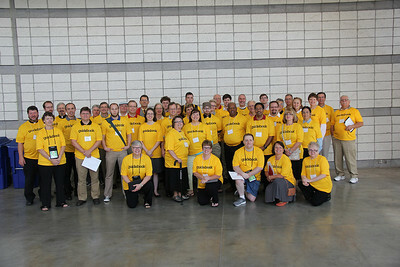 The 2013 Assembly Guidebook volunteers are ready to assist voting members. 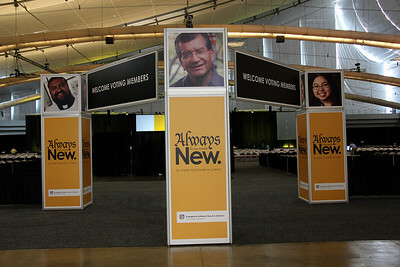 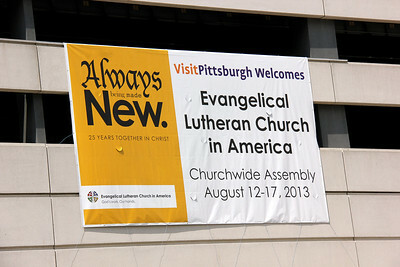 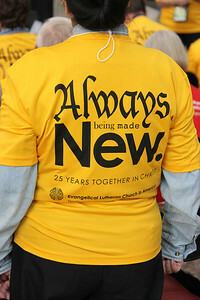 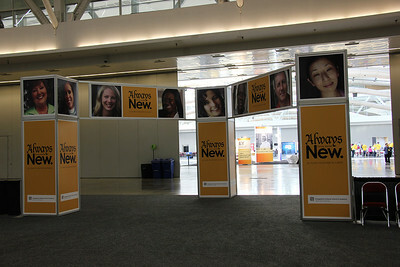 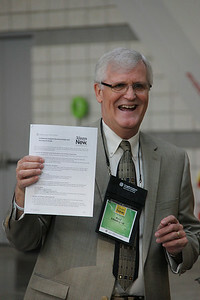 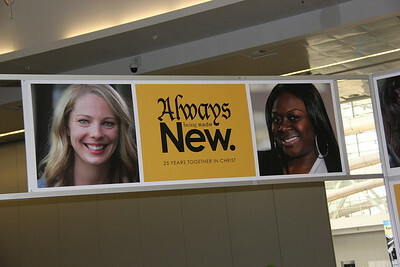 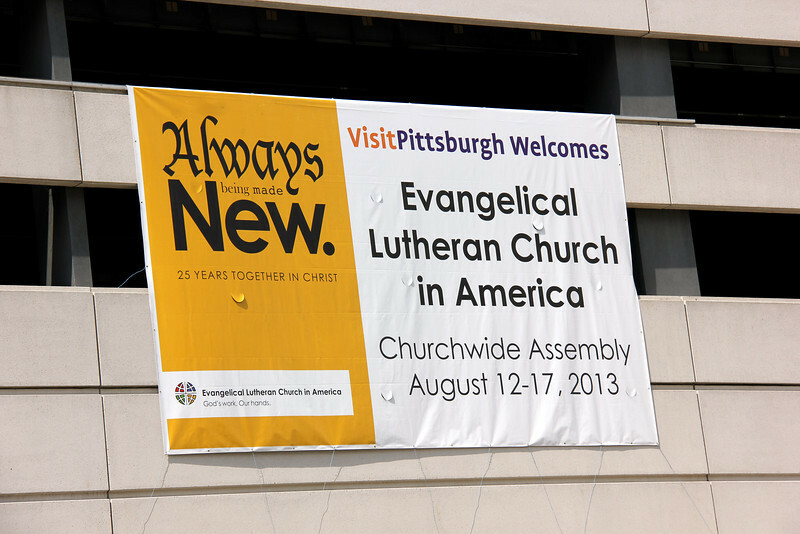 The 2013 ELCA Churchwide Assembly’s theme: Always being made new. 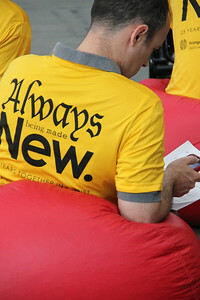 25 years together in Christ. 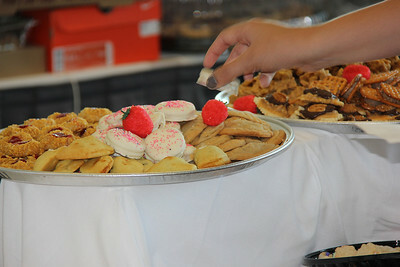 The Women of the ELCA in the Southwestern Pennsylvania Synod baked special cookies to share at the Assembly. 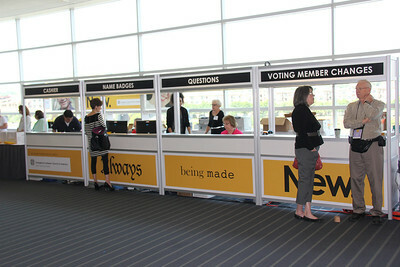 Voting members pick up their registration packets. 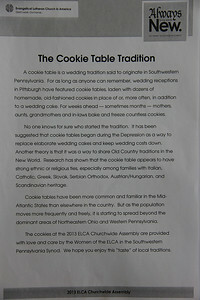 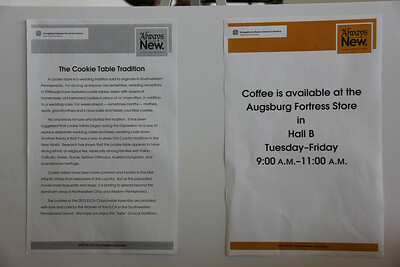 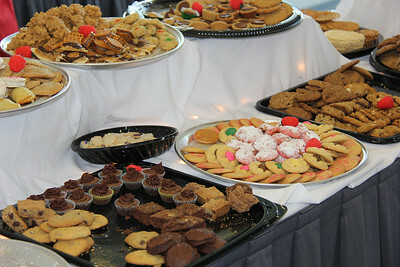 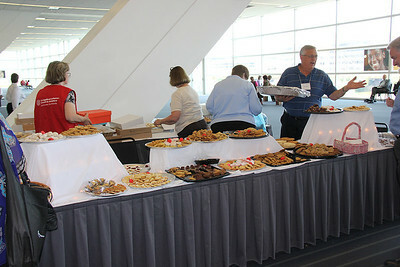 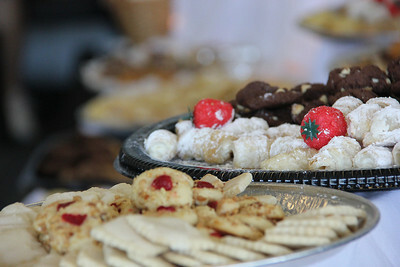 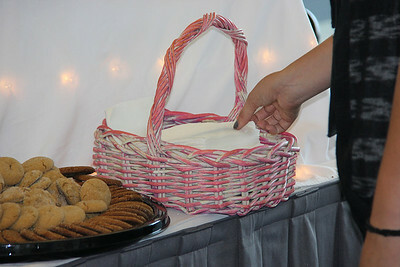 The cookie table tradition is shared with the Assembly by the Women of the ELCA in the Southwestern Pennsylvania Synod. 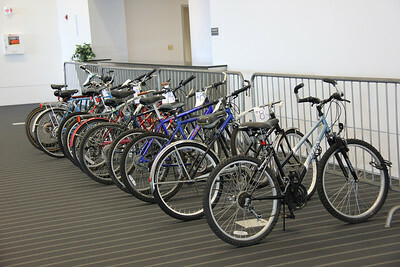 Refurbished bicycles provide optional transportation for voting members and volunteers.